This reissue will contain an 8 page booklet with liner notes and 24-bit remaster from the original master tapes. The disc will contain the 12 inch versions of “Sidewalk Talk” and “The Mexican” as bonus tracks. “Sidewalk Talk” was released in 1984 by EMI Records. The song was originally written by Madonna during the beginning of her career. 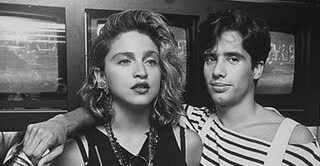 She granted out this song to Jellybean in 1985. She also has vocals on its chorus and she sings some solo verses. The 8 page booklet with liner notes will only be available when purchased directly at the labels site. You can pre-order your copy at www.goldlegion.com and with a 10% discount through the month of November when the promo code “Madonnarama” is used at check out.